*UPL edition is only for sale in Bangladesh. Please order the English language edition from Amazon.com or Oxford University Press website if you are not in Bangladesh. Thanks. 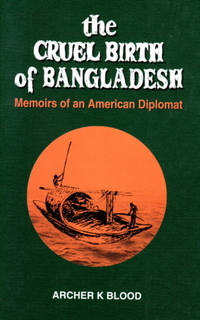 This insider’s account deals in detail with political developments that led to the emergence of independent Bangladesh. The post independence challenges described here are a valuable source of information on different aspects of state building. Kamal Hossain gives us a vivid eye witness account of his own involvement in different phases of the political struggles, from personal associations, as legal defense for freedom of the media and victims of repression in the sixties in particular in the Agartala Conspiracy case. 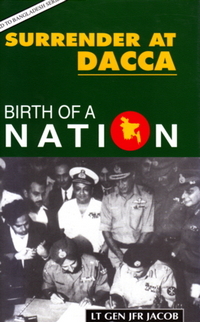 His later association with the Awami League’s team at Ayub’s Round Table Conference and with Yahya Khan in 1971 provides valuable historical insights into the events leading to the war of independence. After independence as Minister of Law, Chairman of the Constitution Drafting Committee (1972) later Minister of Foreign Affairs, and of Petroleum and Minerals (1973-1975) he focuses on the challenges of state building and political transformation. He offers thoughtful analyses of how a country ravaged by war and deprived of resources gave itself a secular, democratic constitution, won respect of the world, gained membership of the United Nations and actively pursued peace and stability in the region. Bangladesh’s pursuit of democracy was short lived as representative governance and secular, democratic politics were stifled by military rule. 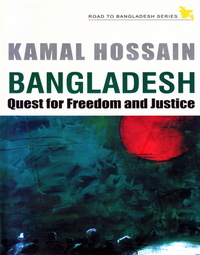 Bangladesh: Quest for Freedom and Justice as a political memoir offers critical insights into the processes of state formation in the initial years.